Beta analysis has become a staple of the investment industry because it provides a simple way of encapsulating expectations about both relative return and relative risk. But virtually all measures of beta assume that the fund and its benchmark have the same relationship when making money as when losing money. Possibly even more egregious is the built-in assumption that the relationship is linear across all returns. Betas should be measured for different zones of returns to capture differences not only in up markets and down markets but also in extreme markets. Measuring upside/downside statistics is well established in financial services: downside volatility has been a standard measure for decades, and some firms extend the idea to upside and downside correlation. But few firms consider upside/downside beta, perhaps because they limit themselves to a fundamental factor framework in which market side plays no role. However, in a statistical or regression approach, computing such betas is rather straightforward, especially when dealing with single factor regressions. In the case of only one index or benchmark, we could divide the dataset in two parts: one subset covering only those days on which the index suffered a loss for which we compute β-, and another subset covering only those days on which the index returned a gain, for which we might compute β+. This would allow for a comparison of how differently, if at all, the fund is sensitive to the index in up markets and in down markets. Just as it is desirable to have a relatively large beta to upward markets, it’s also desirable to have a small beta to downward markets. Funds that show larger values of β- than β+, on the other hand, would lose more in downward markets than they make in upward markets. Taking this concept one step further, we propose computing not two betas but four: β – -, β-, β+, and β++, each of which covers a specific zone of index return. For normal markets, defined as those within one standard deviation of the index’s average return, we calculate β-, and β+ as described above. But we further segment the index’s returns into extreme markets – those outside the one standard deviation band. For days when the index is up more than one standard deviation, we compute β++ and for those days when the index suffers a loss greater than one standard deviation, we compute β – -. The light grey lines shows the beta if only one regression were performed, with a value of 0.89. The red lines show the betas of the four separate zones which are significantly different from the overall beta. Figure 1 shows an example using recent returns of the S&P 500 with returns of a hypothetical fund, demonstrating the zones and values of the four betas. For comparison with our technique, we show the all-inclusive beta of 0.89 in the light grey line going through all the data. Using our segmented beta approach, the ‘normal betas’ have values β- = 0.8 and β+ = 1.05, showing that the fund is slightly less sensitive to benchmark movements on the downside than on the upside. To compute those values, we considered only the days on which the fund was up/down and having returns within one standard deviation. We further divided the data into extreme zones, defined as returns larger than one standard deviation beyond the mean. While each of those zones has only 11 data points, they visibly demonstrate a different relationship with the fund than the data within the one standard deviation zones. The positive extreme beta, β++, has a value of 1.3 while the negative extreme beta, β – -, has a value of only 0.5. As shown through in multiple beta analysis, this hypothetical fund is more sensitive to index/benchmark movements on the upside than the downside and exhibits non-linear behavior. While segmenting the data set by standard deviation naturally limits the number of data points in the extreme subsets to only 11% of the total, we believe it is superior to using other methods, for example an equal segmentation of data (e.g. 25% for each zone), because of the canonical nature of standard deviation. Rather than using only 100 days’ history as we did in this example, we suggest using 200 days’ history in practice, giving 22 data points each for the computation of β – – and β++. Beta analysis is often used in simulating market stresses since, for a given shift in the index’s value, beta can be used to estimate the fund’s likely response. For the example shown above, had only one beta been computed, the estimated result for any shift in the S&P 500 would be 0.89 times the S&P move. For example, for a 1% move up in the S&P, we would estimate a 0.89% rise in the fund. For a -1% move in the S&P, we would estimate a -0.89% move in the fund. Instead if we had used β+ and β-, we would arrive at slightly different answers: -0.8 for the downside and +1.05 for the upside. Similarly, using the four betas would result in still further differences. The table below summarizes the results of using just one beta, two betas and four betas for both small and large movements in the index. Results of stress simulations using different beta approaches. Certain investment vehicles, such as hedge funds, are supposed to provide non-linear returns that might be picked up by such a multi-beta analysis. Measuring funds’ responses to the markets with multiple betas has the potential to add a layer of useful analysis both for return generation and risk management. How would you have reacted if I told you, several years ago, that a Hollywood studio was making a movie about the role hedge funds played in the global financial crisis? That it portrayed hedge funds as the heroes? That within the first few minutes every moviegoer would be paying close attention to a detailed explanation of short-selling? What would an option to invest in such a film have been worth? Simply put: not enough. Today, The Big Short is up for five Academy Awards including best picture, best director and best supporting actor. It does an incredible job of taking a rather dry subject and turning it into an engaging story about a few eclectic characters that millions of people continue to pay good money to see. The two best reasons to encourage others to see The Big Short are straightforward: it entertainingly educates about the complexities of the financial system and, more importantly, it accurately portrays the positive role that hedge funds can play. The Big Short gets the high-level story right and uses accurate details to support its tale. Hedge funds – indeed all successful investment managers – profit from access to scarcely known information. The Big Short tells the story of a number of persistent investors who didn’t accept the party-line explanation of inconsistencies in the mortgage markets. They dug deeper, asked uncomfortable questions and found opportunity. This is not just the story of a handful of investors who profited from the collapse of the housing market – this is the epic story of how to be successful in life: be different, be bold, find a niche, stick to your convictions and see the job through. Each of the subplots in this movie follow that inspiring David vs Goliath storyline. Christian Bale’s character, Michael Burry, goes through a meticulous analysis of underlying home loans before deciding to bet against the mortgage-backed securities (MBS) in which they’re collateralised. The movie shows him struggling with his preliminary findings, gathering more data, performing more analysis and finally deciding to bet heavily against the US housing market. Day after day as he waits for the collapse, Blurry records his mounting loses by writing his fund’s negative returns in big numerals on a massive white board for all his employees to see. Chutzpah, writ large. His obsessive-like behaviour endears him to the audience. His lack of experience with MBSs strains his credibility with his mentor and investors. We love an underdog and this part of the story delivers. Meanwhile, Mark Baum, played by a convincing Steve Carell, discovers the hollowness of the same market as he tours empty Florida housing developments and interviews mortgage brokers who brag about putting modest-income earners into palaces through interest-only loans. Following the very skeptical Baum as he pieces together the underlying fragility in the housing market, you can’t help but root for him. This is great acting and great direction coupled with great writing. It’s one thing to hear Steve Carell’s dripping sarcasm when he repeats what he just learned about “CDO”s but to hear him snide as he slowly pronounces “synthetic…” CDO is what makes movie going worthwhile. The moral aspect of the entire topic is all too briefly – but quite neatly – addressed by Brad Pitt’s character, reclusive Ben Rickert, who left Wall Street to the comfort of his Rocky Mountain sanctuary. Brought back into investing to help two naïve hedge fund entrepreneurs, he admonishes them, “You just bet against the American economy. And if you win, hardworking people will suffer, so try not to celebrate.” Wall Street could use more conversations like that. To be sure, The Big Short won’t make everyone in the alternatives industry happy, nor will it change the perceptions of those who believe the solution is a radical reform of Wall Street. But it will explain some of the intricacies of the investment management world and how it operates. And it will allow more people to have an informed dialogue about the proper roles of regulation, free markets, finance and opportunity. And whatever side of the debate you’re on, that’s a good thing. All in all, this is a movie worth seeing. This is a story worth telling. For those of us in the financial investment industry, this is a movie worth encouraging others to see. It’s entertaining, informative and provocative, just like a good movie should be. 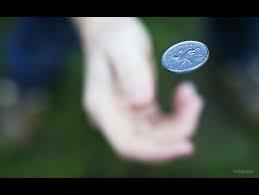 Lots of contemplation, emotion and cold hard logic go into the decision to have your company acquired by another firm. While even my own 13-year old daughter made the canonical “but it’s your baby” argument in trying to convince me not to, it’s never been about that for me. Investor Analytics has not been the goal but rather the means. IA has always been a vehicle to promote what I fundamentally know to be true: that we can all make better decisions by understanding and using analytics and methodologies that have passed rigorous testing. For me, Investor Analytics has been an expression of the tremendous benefits of the scientific method, as applied to financial markets. It matters because real people’s livelihoods depend on financial decisions. Good financial risk management can mean the difference between retiring early and working until old age, or between living month-to-month and investing for your future. With a nod to Simon Sinek, that is my Why. Analytics improve decision making and improve human lives. I’ve spent my career applying it to financial markets so people can make better investment and risk decisions and avoid catastrophic financial mistakes. Rather than duplicate the entire article here, I’ll simply point you to the Investor Analytics Blog, where I posted my article about the Grexit. Correlation Doesn’t Measure What You Think! This article originally appears in my risk.net column in February, 2015, which you can find here. Take a quick look at the two panels of Figure 1 and estimate the correlation for the two funds in both panels. Really, please do it now. What’s your gut feel of the correlation of each set? If you are like virtually everyone I asked, it is quite obvious that the two funds in the left panel are uncorrelated or possibly negatively correlated while those in the right panel are highly correlated with each other. Estimates for the left range from zero to -0.7, and estimates for the right panel are often above 0.7. In reality, though, the funds in the left pane have a return correlation of +0.95 and the correlation for the set on the right is -0.92. That’s right: the funds on the left are positively correlation, and quite highly, while the funds on the right are negatively correlated. In the left panel, over this simulated three-year time period, Fund 1 shows a 49% total return corresponding to a 14% annualized return. Fund 2 suffers a 29.6% total loss, or an annualized loss of 11%. Now take another look at that left panel and estimate which of these two funds is more volatile. Some people interpret Fund 2 as more volatile because it suffers a loss while Fund 1 has stellar returns, equating “risk” or “loss” with volatility, but most people recognize that Fund 1’s volatility is at least somewhat greater than the volatility of Fund 2. In fact, the volatility of Fund 1 is 2.5 times greater than the volatility of Fund 2. Figure 1. Left Pane: two funds diverging in value. The blue fund’s total return is 86% while the red fund’s total loss is 22%. Right pane: Two funds both increasing in value. This post originally appeared in my column in Risk Magazine in October, 2014. Institutional investors tend to use a different vocabulary when speaking about risk than hedge fund managers. Institutional investors often talk about beta and benchmarks. Hedge funds talk about correlations and absolute returns. Betas and correlations are closely related to each other, but not the way most people think. Institutional investors as a group first learned about quantifying risk when they were introduced to the concept of beta, probably by a long-only equity manager. The conventional interpretation, they were told a long time ago, is that beta measures the relative risk of their portfolio to their benchmark: if beta is greater than 1, the fund has more volatility than the benchmark. If it’s less than one, the fund has less volatility than the benchmark. This simplification has merit for many long-only funds, but it has led to misinterpretations and a false sense of security when alternatives are included. The issue is compounded by the introduction of a related measure – correlation – from hedge funds’ ubiquitous claims of “uncorrelated returns.” The relationship between beta and correlation is not well understood by many managers and, when misinterpreted, can lead to poor investment decisions. Investor Analytics’ publication of the Russo Ratio – the new analytic that separates risk into volatility and correlation components – seems to have created a bit of a stir. It’s been downloaded hundreds of times and we’ve gotten comments from many portfolio managers, risk managers and academics including some of the post prominent and well respected names in the industry. We’ve consolidated those discussions into a blog post on our company’s site and we invite you to join the discussion. You can read about those comments and join the discussion here. 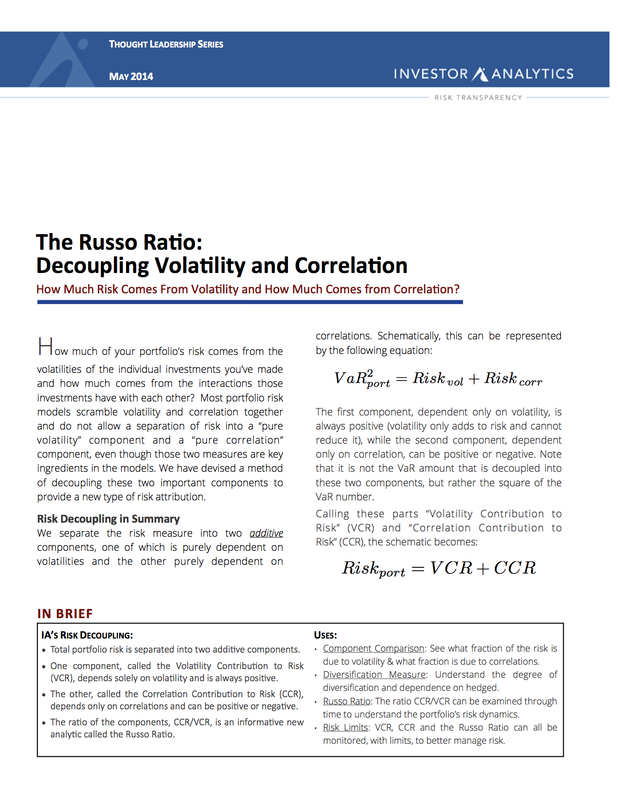 In the original paper, we introduced three new analytics: CCR – the Correlation Contribution to Risk, VCR – the Volatility Contribution to Risk, and the Russo Ratio: CCR/VCR, which provides a compact way of understanding how much diversification benefit is inherent in the portfolio. The short paper we published explains these measures and analyzes three different portfolios using them to show the effects of low and high diversification. While each individual flip is random, the aggregate behavior is not. But when we modeled it, the brakes worked! One of the hot buzzwords in financial risk management these days is “Model Risk”, as if this concept is in some way new. Unfortunately, it’s only recently – a full 6 years after the onset of the Global Financial Crisis (GFC) – that the idea of Model Risk is getting wide coverage. The concept is rather simple: in essence, it says that a model is, well, just a model. It’s not reality. But since we quants / financial engineers / “rocket scientist” types tend to put things a bit more quantitatively than that, the notion of Model Risk includes what’s called “goodness of fit” or measures that assess the appropriateness of a given model for a given situation. They help you understand when the model may need tweaking, may no longer be appropriate or if it’s predictive value may have fallen too low to use. I take pride that Investor Analytics was the very first risk management specialist firm on Wall Street to actively share the results of our Model Risk measures. It wasn’t easy: for many years before the GFC people thought we were a bit nuts to call attention to the limitations of models in our industry. There are between 25,000 and 35,000 Russian troops amassed on the border with Ukraine, just a few hours’ unhindered drive from Kyiv, Ukraine’s capital. Last week, Putin sent a very strong signal about his intentions to invade the rest of Ukraine, but only to those who could hear it. There are two ways to say ‘Russian’ in their language: one way, “Rossisskii,” is used to describe any citizen of Russia regardless of their ethnicity. Mongols, Chechnyans, Russians and Ukrainians can all be “Rossisskii” if they carry a Russian passport. And that’s how Putin always referred to citizens of his country, until last week. He suddenly switched to using “Russki,” the form that means ethnic Russian. He called Crimea primordial ‘Russki’ land and its main seaport, Sevastopol, a ‘Russki’ city. Most telling, he actually said Ukraine’s capital, Kyiv, is “the mother of Russki cities.” As this Washington Post article points out, this must have grated on the ears of any Ukrainian listening, as it was a revisionist reference to Kyiv’s role as the capital of the ancient Rus’ civilization. Peter the Great, the ruler of what was then the country of Muskovy, wanted to improve his country’s reputation by bolstering its historic credentials. He decided to rename his country by starting with Ukraine’s ancient name of Rus’ and adding a few letters. It caused an uproar among Muskovites at the time, but Peter prevailed and claimed his neighboring country’s richer and far more ancient heritage for his own. This Identify Theft would prove decisive in helping Peter establish his newly renamed country on the European stage. Peter stole Ukraine’s history and name; Putin now aims to take her cities. Just a few days ago, NATO’s Supreme Allied Commander Europe said “the (Russian) force that is at the Ukrainian border now to the east is very, very sizable and very, very ready.” For their part, Ukrainian troops have begun digging anti-tank ditches and have placed giant jax-like concrete tank-blockers near the border. Today, the Ukrainian government started broadcasting messages preparing people for the likelihood of a massive invasion in the coming days. The US and the EU have already levied sanctions for Russia’s actions in Crimea, and have threatened more if Russia pushes further. So far, the sanctions target those in Putin’s inner circle and include visa bans and asset freezes that have even impacted credit card transactions. Because significant equity in Bank Rossiya and Sobinbank is owned by those on the US sanctions list, MasterCard and Visa have stopped authorizing transactions for credit cards issued by those banks. In Brussels today President Obama said that Moscow must consider “the potential for additional, deeper sanctions” if it pushes further into Ukraine. He went on to say “we recognize that in order for Russia to feel the impact of these sanctions, it will have some impact on the global economy as well as on all the countries represented here today.” Just a few days ago US Energy Department said it would permit exports of liquefied natural gas from Oregon to help European nations struggling with supporting further sanctions because of their reliance on Russian energy. The market has not been kind to Russia in the past few weeks, as this Twitter post from the Wall Street Journal shows: equity markets down 13%, interest rates up about 150 bps across the curves, and the Ruble continuing to fall. In addition, Russia has admitted that it expects between $65B and $70B of foreign capital to leave Russia before the end of March! If Russia does indeed invade more of Ukraine, we expect significantly more in terms of sanctions and capital flight. As I pointed out in an earlier post, it’s easy to be fooled into thinking that since a portfolio has no direct exposure to Russia that it won’t be affected by these events. In reality, many countries, including Germany, are significant trading partners of Russia’s and their equity and fixed income markets would certainly suffer from contagion. Stress Testing is a good way to simulate possible market effects of materially increased sanctions or even open warfare. As I pointed out in the last post, modeling would include spikes in energy prices and agriculture products. I think moves of 10% to as high as 50% are not out of the realm of possibility, depending on how the political and military situation plays out. Also be sure to stress correlations quite high between Russia and its main trading partners – Germany, Italy, and France to a lesser extent. Contagion to the interest rates and bond prices in Russia’s largest trading partners should not come as a surprise to anyone. “Flight to Safety” of capital out of Russia in excess of the $70B already expected in the coming weeks would also be reasonable. In a full military escalation to open warfare coupled with seriously increased sanctions, prudent managers would also simulate a collapse of the Ruble, hyper-inflation and a modern Russian default. Late on March 26, CNN reported that US Intelligence analyst say there’s a greater likelihood of a Russian invasion than previously believed. The House Armed Service Committee, when it learned of the report, sent a classified letter to the White House expressing concern. An unclassified version of this report said members feel ‘urgency and alarm’ about the information now in their possession. Putin’s Ukraine Gambit is reverberating through the markets: Monday, the first trading day after Russia’s invasion of Crimea, the Russian Micex stock index was down 11% representing a drop of about 80B USD. The commodities in play are Oil, Natural Gas (both of which Russia exports), Corn and Wheat (both which Ukraine exports). 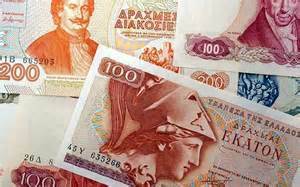 The Ruble, the Euro and the German Bund are also at risk. It’s not just the supply of the commodities that may lead to a rise in their prices – there’s also a real chance of economic sanctions being imposed on Russia by both the EU and the US, which expressed the possibility of economically “isolating Russia”. According to the Telegraph, Monday’s emergency meeting of EU foreign ministers shows important divisions in countries’ willingness to impose sanctions on Russia: eastern European countries led by Poland and Lithuania called for strong sanctions but Germany and Italy, both of which import a lot of Russian gas, wanted to soften the message. The EU delayed any decisions about expelling Russia from the G8 until Thursday. They gave Russia until then to return all of their forces back to their base in Crimea or face sanctions like visa restrictions, arms embargoes and asset freezes. Should Russian troops still be occupying Crimea come Thursday, we should expect to learn from the strength of the EU’s sanctions just how important Russian gas really is to Germany and Italy. But US Secretary of State John Kerry said on the Sunday morning talk shows that the US is prepared to sell Europe Natural Gas to make up for any diminished supply due to any sanctions that are imposed. The US finds itself energy rich, and wants to use that leverage in its foreign affairs efforts. 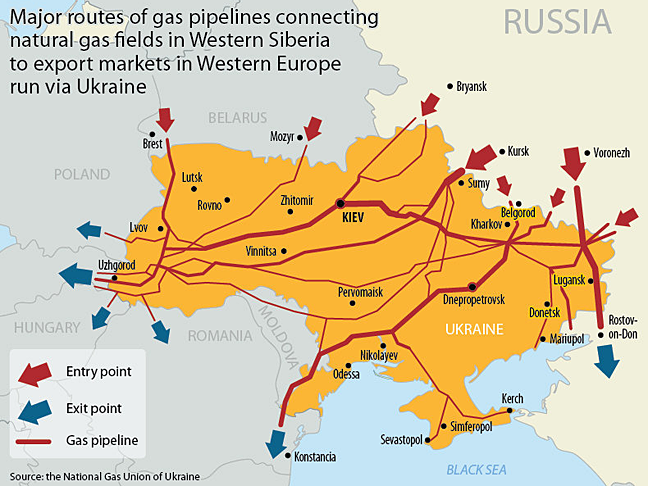 According to the NY Times, Germany imports 24% of Russia’s Natural Gas exports and Italy imports 11%. It points out that Germany has a 6% trade surplus with Russia but that it gets about 75% of its gas and oil from Russia. Current European stockpiles of gas is high – about 2 months’ worth, enough to take them through the remainder of the winter. Ukraine’s agriculture exports are significant: it is the fifth largest wheat exporter and the world’s third largest corn exporter. Archer Daniels Midland and Bunge having large operations in Ukraine. Ukraine’s flag pays homage to its nickname “The Breadbasket of Europe” – the yellow bottom half of the flag represents the flowing wheat fields found throughout the country. Any war in Ukraine would seriously disrupt that distribution, as most of the farmland is in the Eastern part of the country, near Russia. Back in 1998 before the Ruble collapsed, many investors believed themselves to be insulated from Russian risk by investing in German stocks, only to find a high correlation of the Ruble with the DAX, which suffered at 37% drop in 1998 from which it too over a year to recover. Other markets, like the US and Japan, has losses of about 20% and took only a few months to recover. Today, Germany is still highly dependent on Russian exports, so we should look for any impact on Russia – whether through sanctions or because they decide to attack – to reverberate through the German markets. Stress testing this situation includes modeling spikes in energy prices and agriculture products. I think moves of 10% to as high as 50% are not out of the realm of possibility, depending on how the political and military situation plays out. Also be sure to stress correlations quite high between Russia and its main trading partners – Germany, Italy, and France to a lesser extent. Contagion to the interest rates and bond prices in Russia’s largest trading partners should not come as a surprise to anyone. On the upside, if Russia does back down and withdraws its military threat, look for a new more democratic and European leaning trading partner to emerge in the coming years. The EU announced a $15B loan and grant program today and is eager to sign the previously stalled EU Association Agreement with Ukraine, whose new government is equally eager to sign. As the largest country by area in Europe (yes, Ukraine is slightly bigger than France) with a highly-educated population of 46 million people, if Ukraine is able to adopt real democratic reforms and European business practices, the business landscape on the Continent could look quite different a decade from now. 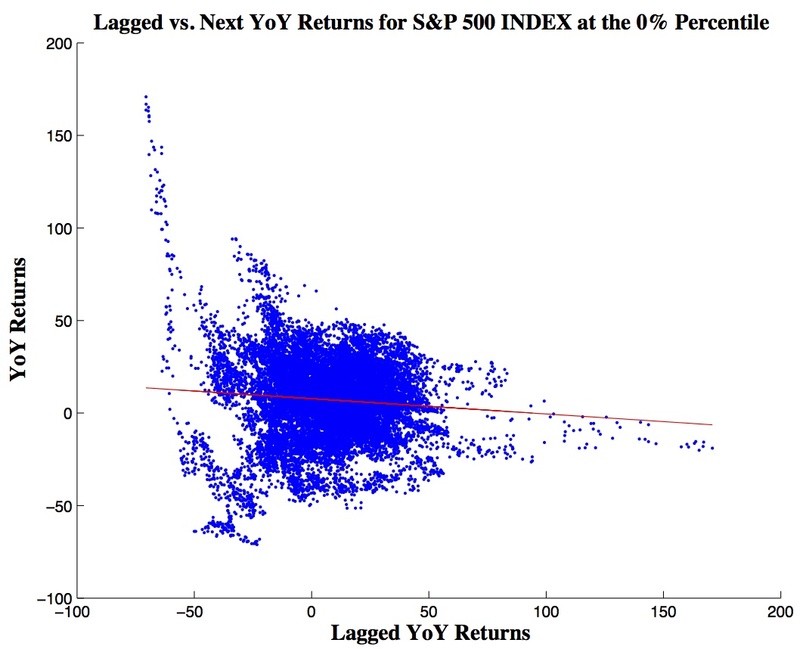 Relationship between one year’s returns and the next. Essentially, there’s not much of a relationship except in cases of extreme losses, which are often followed by a better year. Investor Analytics just published the fifth in a series of articles in a new column I have in Risk Magazine’s Hedge Fund Review, which you can find here. The topic for this article is both simple and profound: since 2013 was a great year for stocks, chances are that 2014 will be bad so that the stock market maintains its long-term average. The phenomenon is call “reversion to the mean” and is the underlying logic behind thinking that a sports player is “due” (a fallacy) and for the notion that a tall parent is more likely to have a shorter child (a truth). We looked at the returns of the S&P 500 over the past 86 years and constructed rolling 1-year windows to generate over 20,000 data points to examine in our hunt for signs that if you have a “good year” that the next year has an increased likelihood of being a “bad year”. It turns out that it’s just not so. You can read the article for the details, but it’s very clear that having a good year really doesn’t change the odds of the next year being good or bad. The average return of the next year is slightly lower than usual, but the range of returns is tremendously wide. 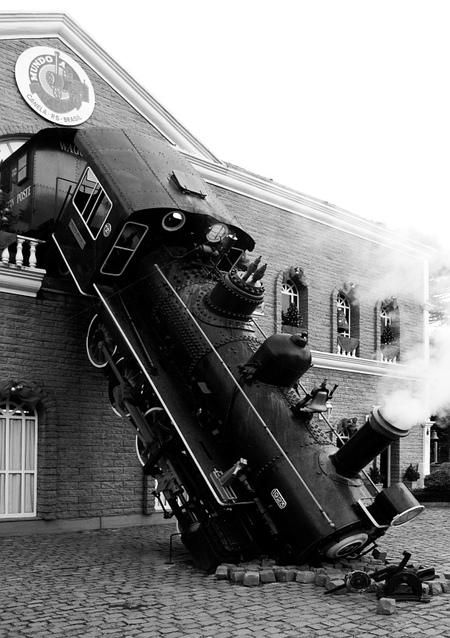 Specifically, the overall average for the S&P500 is 7.5%, with a volatility of 20%. That means that for any given year, at the 95% confidence interval, the stock market gives a return somewhere between -25% and +40%. But following a year like 2013 (up 30%), the market returns on average 4.7% with a volatility of 17.5% which translates to a 95% confidence interval between -24% and 33.6%. See the big difference? Neither do I. The plot in this post shows the overall relationship between two subsequent years: the first year on the horizontal axis, the second on the vertical. The large blob in the middle represents about 98% of the data, which essentially shows that one year tells you next to nothing about the next year. The graphs we published showed a striking lack of relationship between one year’s returns and the next, except in the most extreme cases. Our conclusion is simple: your risk is not really changed from last year, and this year is has just a good chance of being good as it does of being bad. It’s up to you to make the most of it. The Most You Can Lose? In yesterday’s Wall Street Journal, there’s an article entitled Tracking Risk Isn’t So Easy that overall is a solid description of some of the problems with measuring risk and comparing quantitative risk levels from one firm to another. The article is worth reading because it redeems itself quite nicely despite a major blunder early on. You’d think that an outfit like the Journal wouldn’t make a rookie mistake in one of the first few paragraphs where they wrote: “…value-at-risk, or VAR,[is] the most common yardstick of trading risk. VAR is designed to measure the maximum trading losses faced by a bank in a single day” (my emphasis). Wrong. Very, very wrong. Believing that VaR measures the most you can lose is a mistake that reveals just how misunderstood risk management is, even by experts at the WSJ. What if someone asks for the risk of a river overflowing and flooding a city? One response might be a statistical analysis to calculate the “Floors-at-Risk” or FaR. I can just image the deadlines: “This month’s flood had a FaR of 2.5”, and the article would go on to explain that meant experts expected water to rise to 2 1/2 floors before receding. Would anyone ever suggest that the FaR number is the highest the water could ever get to? Of course not! Everyone understands that water can rise much farther than the expected level. It’s pointless to talk about the “maximum possible height” of the water. What matters is the associated likelihood of each possible water height, with the expectation (and hope!) that the likelihood drops off quickly with increasing height. The Value-at-Risk number is similar: it’s an estimate of how bad things can get most of the time, with the same expectation of diminishing likelihoods for bigger loses. VaR is certainly not the most you can lose. In just about every case involving “plain vanilla” securities like stocks and bonds, the most you can lose is everything: 100% of your investment (in cases of derivatives, you can actually lose more than that amount). So thinking about the most you can lose is not really informative – rather, risk managers talk about the probabilities associated with losing various amounts. Investor Analytics once had a client, years ago, confused by this: they called to ask how it was possible that they lost more than their “Value-at-Risk” number. I pointed out that if, in fact, their VaR number was set (by them!) to be at the 95% threshold, that they had to lose more than that VaR 5% of the time – that’s what the 95% level means: it’s true 95% of the time. In other words, it’s not true 5% of the time so they should expect to lose more than this number 5% of the time which works out to 1 day out of 20 (there are 20 business/trading days a month). In this case, losing more than the VaR amount should be as common as the full moon! Unswayed by this line of reasoning, they again asked how it was possible to lose more than that number. I was tempted to point out that they could have sold all the securities, taken the cash and used a match — that would certainly lose more than any reasonable estimate of risk! Of course, decorum dictated that I phrase it a bit more politely. Although yesterday’s WSJ article got this one very important point dead wrong, the rest of the article is quite good about explaining the difficulties in comparing different banks’ VaR estimates and even in understanding a proper interpretation of a particular bank’s calculation. There are so many acceptable variations in the VaR calculation methodology that it simply cannot be relied on for meaningful comparisons. Unfortunately, that doesn’t stop everyone from trying. In attempting to impose a standard measure of risk in VaR, regulators have given the impression that there is consistency in interpretation. But because banks and other investment managers are given so much latitude in acceptable calculation approaches, time-horizons and confidence intervals, setting that false expectation will inevitably result in bigger problems down the road. No, this post about “Correlated Stresses” isn’t about having both your in-laws and your weird uncle over for the holidays. Nor is it about how your trainer at the gym has you work on abs, biceps and cardio all in the same session. But it is about two very different ways to perform ever increasingly popular stress tests of financial portfolios. In a nutshell, uncorrelated stresses are your worst nightmare: everything goes haywire at once. Correlated stresses, on the other hand, only allow one thing to go haywire and then use realistic assessments of how badly every else will react. In some sense they’re more realistic, but they may not capture enough severity. In other words, they may not really be all that stressful. In the past two weeks I’ve been to two very different conferences: The Santa Fe Institute’s annual Business Network Symposium in New Mexico and the Canadian Pension Fund’s Innovation Conference in Bermuda. The same important topic was discussed at both conferences: Agent Based Modeling. At Santa Fe, I did the listening. In Bermuda, I did the presenting. The traditional way to model economics or markets is called “top down:” you assume a a distribution for a stock’s returns or you assume a certain shape of the interest rate curve or something similar. From there, you attempt to calculate things like the probability of portfolio loss or the long-term value of bonds. In essence, you start with a high level assumption of how the world works and you then calculate determine how something of interest behaves. Agent Based Models are very different: they don’t start with assumptions of how the world works. Instead, they start with the players who interact – the “agents.” They then incorporate the individual agents’ observed behavior in a given circumstance and they then let those agents interact. They calibrate those “near-neighbor” interactions by changing them until the macro behavior of the ensemble resembles what is observed in reality. In my opinion, it’s a much more natural modeling approach than the traditional mathematical top-down approach. Santa Fe Institute, here I come! Did you know that there isn’t a single non-stop flight from any of New York City’s three airports to Albuquerque, New Mexico? This matters to me now that I’ve joined the Santa Fe Institute’s Business Network and will be visiting. The Santa Fe Institute is a “trans-disciplinary” research institute where the main focus is bringing research experts from different disciplines together to work on a problem of common interest. It’s exactly the approach that I advocate for risk management: incorporating lessons from other fields into my own. I learned the value of this approach in college, where my university encouraged students and faculty to work on creative combinations of fields. In my freshmen year we were amazed by the popular new course – the result of a collaboration between a biologist and a psychologist – called the “Biological Basis of Behavior.” BBB was scary: those who took it learned that our decisions, while seemingly the result of free will, can largely be understood as a combination of genetics and our experiences that manifest themselves as electrical signals in the 3 pound lump of matter encased in our skulls. Collaborations between seemingly disparate disciplines can lead to novel discoveries.